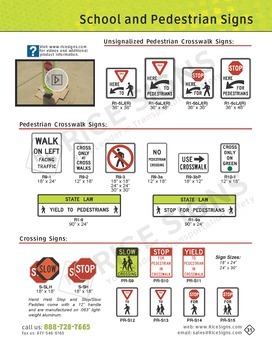 Buy School Crossing Signs, Pedestrian Crosswalk Signs, Children At Play Signs. DOT and MUTCD Approved. We have hundreds of school crossing, pedestrian crosswalk, and children playing traffic signs in stock for immediate shipment. In street pedestrian crosswalk street signs are used in school crossings for added safety. 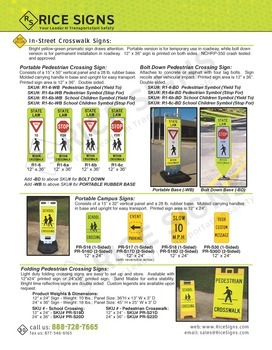 Portable and bolt-down school crossing street signs increase visibility of your school's crosswalk. 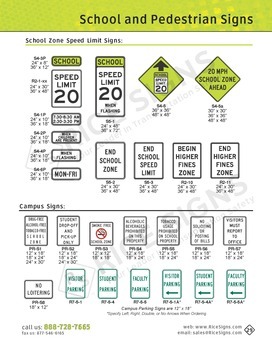 Both school and pedestrian traffic signs are available in yellow or fluorescent yellow-green colors. Portable and bolt-down in-street pedestrian crosswalk signs. Inform motorists to Stop or Yield for pedestrians. 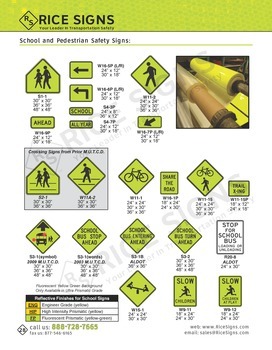 School crossing signs, pedestrian crossing signs, and school safety traffic signs. Shop slow children at play signs, children playing signs, and watch for children signs.